Nick Lacey is a freelance media educator based in West Yorkshire. He’s written several textbooks and would be eternally grateful if you’d click on the links below and buy them. If he had to choose between film and music he’d probably choose the latter but that’s harder to write about. He believes that the human race are ‘ghosts’; that is, our environment can no longer sustain us and it’s only a matter of time before we’ve had it. He blames the capitalists but also everyone else for letting them get away with it. He’s published three kindle books on film, Vertigo, Se7en and Blade Runner, and one collection of writing from in the picture magazine. Image and Representation covers the key concepts of media language and representation but was published in 1998 so is not exactly up to date so the 2nd edition out now. Narrative and Genre doesn’t suffer from being out of date and does what it says on the cover. These books are aimed at post-16/introductory level students. They’ve all been well reviewed somewhere; ignore the 2 stars given on the Amazon page: it ain’t difficult at all! Media Insitutions and Audiences was the final book of the trilogy. 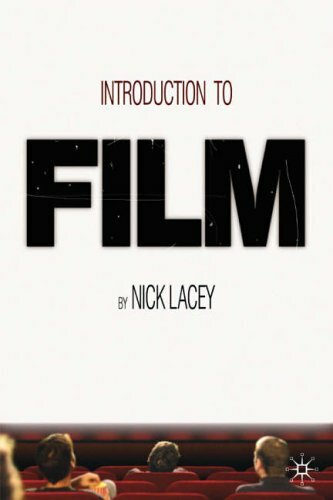 The final textbook, now in a second edition, was for Film Studies students but if you’re interested in movies you’ll probably find it interesting – Introduction to Film .